NORWALK, Conn. – Statewide results are in, with Republican Bob Stefanowski set to square off against Democrat Ned Lamont in the race for governor. CTNewsJunkie reports this as a surprise, quoting Stefanowski as saying the campaign had been underestimated from the start. Stefanowski hadn’t voted in 16 years and was registered as a Democrat months before switching back to Republican and announcing his run for governor, CTNewsJunkie reports. Lamont immediately upon winning suggested that Connecticut needs to regionalize its services, CTNewsJunkie reports. Why is that so many democrats go out to vote while republicans seem to sit home then complain after it’s too late. Get out and vote now more than ever! Your right Al , the news we are seeing out of New HAVEN this morning suggests drugs should be the issue that most running and in office are not thinking about , The count of overdoses hover around 16 right now in one park all suspected from the same source . Poor economics the state is in chaos so maybe the Republicans will get involved its not a party issue its a state issue that has no signs of letting up. Not for nothing when has our current reps and city hall been proactive in fighting this epidemic ? Giving out Narcan the city boasts but what about prevention? Its time to hire more enforcement and triple the fight at the homeless level. lets all show support for think about the victims today most of theses politicians are running around talking victory while New Haven is still picking up victims off the street. Norwalk is suing drug manufacturers but what about this K2 stuff that is suspected today whats Norwalk going to do Now? Our proactive lawyers in Norwalk have always missed the point. Rick – many good points except these people using the illegal drugs are NOT VICTIMS. They make a choice. That choice is to continue to get high. That is not a victim dude. Your right V drugs dont make them victims but they are in Ct take away the drugs they are victims in a State where jobs like the mall went to everyone but Norwalkers. All the sheet rock is done by a company from Springfield mass all the employees are from Mass. More on that later. The 60 minute media in Norwalk highlighted three people from Norwalk that had jobs at the new high rise on Raymond. They say if you were late on rent in Washington village you were not selected to work for Trinity financial.Great city incentive Colin should be all over that with his buddy Harry. People in Washington village have been intimidated by the city complain and your out not all are fully subsidized they work some 40 hours.Mold rats and water in the cellar was known to exist complain and fear of reprisal is strong right now for the 300 left in the village. Every been to the green in New Haven? Anyone? This last primary how much did you here about white or blue collar addiction , homeless and drug epidemics. Certain city democrats have o go outside of South Norwalk to get support they worn out their welcome here. a side note the drug in New haven was so dangerous and not your typical stuff Narcan and Naloxone isn’t working now what? and the count is 30 and climbing . Taxpayers are now the victims we will pay for this day if most were homeless. We need to react stop making everyone the victim and put the blame on our politicians . I still in part V agree with you , that would of stopped the halfway house but its too late people who make bad choices are now covered by the law. count is 45 in 24 hours one has been arrested but still 45 people for what ever reason decide it was a good day to get high . You would think with the election we would hear outrage even from the losers. 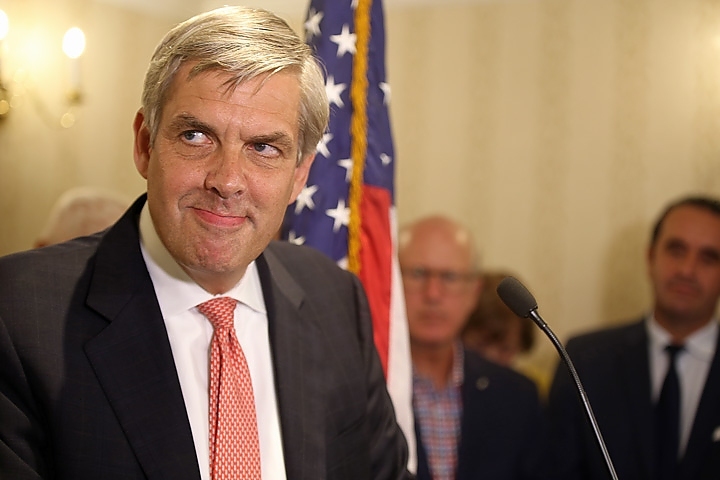 Ct News Junkie is “surprised” at Stefanowski win? She’s once again drinking her own Kool-Aid like she and the left media did in the 2016 general. Stef’s early TV ads were right out of the Trump playbook. Stef ran around the press and the GOP good ol’boy establishment. I think both parties are getting their clocks cleaned and it’s about time. We had a ball with this primary and more good stuff to come!